Spiders are one of nature’s most prolific arthropods. There are over 40,000 known species of spiders found all over the world, and they rank seventh in diversity among all other types of organisms. Spiders are also one of the most adaptive life forms found anywhere on earth. Spiders found living in the desert have adapted so well to their environment that they need hardly any moisture at all, getting everything that they need from their food, while the diving bell spider found in parts of Europe lives entirely under water and breathes by trapping bubbles of air in the hairs of its legs and abdomen. Spiders can be found in desserts, in marshes, in caves, and in trees. They live under rocks, in bushes, and even in water. Spiders can live in almost any kind of habitat; each one of the thousands of species of spiders that exist have adapted to the specific conditions presented by the environment in which they live. Anywhere you are, if you look closely, you will find a spider somewhere nearby. The only place in the world that spiders don’t live is in Antarctica. All but a very few herbivorous species of spiders are carnivorous predators, preying mostly on insects, but some spiders are actually large enough that they hunt small vertebrates like frogs, lizards, small birds, and mice. Spiders prefer their food fresh – either still living, or freshly killed. Most spiders are venomous, but very few species are actually harmful to humans. 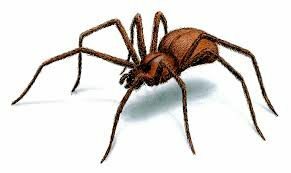 The bite of most spiders will not kill a person, although it may cause a reaction similar to a bee sting. Spiders are a lot like people. They are very diverse, yet in their diversity they are able to accomplish all of the necessities of life in very different ways, and yet, all of them are very effective. Each type of spider capitalizes on its strengths to accomplish the tasks of survival. Different types of spiders weave different types of webs, or have varying methods of trapping or capturing their food. They live and reproduce in a variety of climates and environments, and they come in all different shapes, sizes and colors. In spite of all the differences, no one variety of spider is necessarily more successful than another. Almost every region of the planet is populated by spiders, all living quiet lives of solitude, largely unnoticed by the people who live nearby, unless they are given a reason to be made known. There are many things that we can learn about success from spiders. Diversity is something to be celebrated. Of course there are basic rules for successful business practice, but as long as a person sticks to the basics, there is as much room for interpretation in how a goal is accomplished as there are ideas and people in the world. The way one person accomplishes a task may look completely different from another’s, but that doesn’t make one way more right or another way more wrong than the other – the true measurement of correctness is in the results, not in the way the task is accomplished. For example, take the spider that lives under water as opposed to the desert spider. One spider adapted to living in an environment with very little water, while the other has adapted to an environment where the only air is what it carries with it. Each spider hunts, captures food, reproduces, and each one goes about those tasks in very different ways. And every desert and every lake is abounding in spiders, all doing very well in their own way. The first spider to ever venture out into the water didn’t worry about how other spiders would react to its way of doing things. It just did what it needed to do to survive in the conditions that were presented. It saw a minnow – a new source of food. It tried something different that had never been done before. And it succeeded. Change is difficult for many people, but spiders seem to have this skill down – they have been able to adapt in many ways that are quite remarkable, and each species of spider is uniquely adapted to its habitat. Now more than ever in business, with the speed that technology is changing, those who can’t adapt to the quickly changing world are being forced to step aside and make way for those who can. As more and more functions become computerized, and more and more businesses take to an online format, it seems that many of the old ways of doing business are becoming obsolete, or at the very least, they are being greatly changed by new technology in ways that create a necessity for adaptation. As soon as it seems all businesses are online, something new comes along – like the businessman who finally gets a website only to discover that now he needs a responsive website to accommodate for mobile browsing. Like the first spider to venture out into the desert, or the first spider to spin a web, new technology in the business world is not just a passing fad, but quite possibly a step up the ladder to something bigger. Not keeping up could leave those who are unable to add new skills to their skill set farther and farther behind. 3. Patience – Good things come to those who wait. Spiders are the picture of patience – they wait for hours on their webs, in their burrows, or hiding in cracks and under rocks for just the right moment to act. They are vigilant in their waiting, with all of their senses tuned in to the vibrations that let them know that their opportunity has arrived. Spiders do not get impatient and leave their post, and if they must leave to take care of other necessities, they keep their senses fine tuned to the vibrations of their web. Often in business, timing is everything. Many times, like the hunting spider, a person must go after the things that he wants, but sometimes, the only way to get that special opportunity is through patiently waiting. Not the kind of waiting that allows a person to fall asleep and let that opportunity pass him by, but the kind of patience that leaves his senses tuned in so keenly that even if he does sleep, there is no way for that opportunity to pass without being noticed. Spiders couple patience with hard work, which ultimately pays off. When that opportunity does come, a spider wastes no time in pouncing on it. Spiders never stop to mull over whether or not it is in their best advantage to act, or if a bigger fly will come along when their prey is in the net. They jump on the opportunity as soon as it arrives. Sometimes people tend to take too much time when it comes to making decisions, and in that time taken, many good opportunities are missed. This doesn’t mean that people should jump on every opportunity that comes along – some might not be what they appear. Spiders are very careful to prepare for the right opportunities. They carefully plan ahead, creating a trap that is made to catch just the kinds of opportunities that they want, and they use all of their senses as they pounce to decide if the opportunity is a good one or not. Because all of a spider’s senses are in the sensors in its legs, they are jumping in with their eyes wide open, so to speak. There may be times when a spider finds that it has caught something in its web that isn’t worth perusing, but pouncing on an opportunity doesn’t mean that a person can’t abandon it later if it turns out to be a dud. Taking chances is one of the things that all good business people have in common, but like spiders, they carefully set the right circumstances in motion first. One of the spider’s biggest secrets to success is innovation. Innovation is what has allowed spiders to adapt over time to adjust to new surroundings. Fresh ideas allowed spiders to survive in environments that may appear inhospitable at first glance. Necessity plus creativity equals innovation, leading to ideas that allowed one pioneer and all of its progeny to survive where others had previously failed. Those who lack vision or who have a difficult time seeing the big picture are too afraid to even try something new. These are the people who may scoff at new ideas, but some of the biggest innovations of all time were looked at as mere novelties or passing fads at the time they were first created. Take the telephone for example. The telephone was looked at as impractical and thought of as a novelty item that would soon pass, leaving life to go on as before, yet the telephone has changed the course of history, and now it is difficult to imagine life without one. The same is true for airplanes, television, and computers. Even seemingly small ideas like the use of the assembly line in manufacturing or the invention of the twist tie have made huge differences in the way we live our lives. Innovation may be the biggest commodity of our time, since most of the earth has now been explored. While there may be fewer unknowns to discover, there is plenty of room for new ideas, or innovative new ways to use resources or improve the things that we already have. Good business people are tenacious. Once they catch on to a great opportunity, like spiders, they hold on tight and they don’t let it get away. When a spider gets a hold of its prey, the trapped insect struggles to get away, but spiders have strong legs and jaws, which they use to hold their prey until it is subdued. Then the spider wraps it up in a neat little package and enjoys its success. It can take great strength of will to hold on to a great opportunity. Things like self doubt or criticism from others can cause a good opportunity to feel as if it is slipping away, and even make a person let go before the opportunity can pay off, but many successful business people have had to work long and hard on an opportunity before they saw any results. Working a business, no matter how good the opportunity, may require a few years of hard work before the idea finally proves to be profitable. Walt Disney was fired from one of his first jobs because his employer said that “he lacked imagination and had no good ideas.” Soichiro Honda, the founder of Honda Motor Co. was an outcast from the Japanese business community for several years before his new ideas became a reality. This did not stop these men from perusing their ideas, even though it would have been easy and even justifiable for them to have done so. Now the world is better off for their tenacity. Spiders are great hunters and when they have success, they certainly enjoy it, but they are also great at surviving during the lean times. When a spider can’t capture prey, they are capable of surviving for long periods of time without any food. But the key thing is that they don’t give up. They continue to build new webs, and if they don’t catch anything before the old web wears out, they eat it and use that energy to build a new one until they catch a new opportunity. Good business people are much like spiders in that when they experience a failure, they find the benefit in their experience, looking at it as more of a learning opportunity, and then they move on, adapting and innovating if needed and using the substance of their failure to give them the energy to move to their next endeavor. They may even examine the failed experience to see where they could have done things differently and where they can improve. They don’t mope around. They find ways to keep up their energy and they keep forging ahead, fine tuning the experience and looking for that next new opportunity to come their way. Thomas Edison, when trying to find the right material to make a filament for the light bulb, after failing for the 10,000th time said, “I have not failed. I've just found 10,000 ways that won't work.” And then he started again, and continued trying until he found a material that did work.